A decade has passed since the beginnings of a global financial crisis that resulted in the most severe financial panic and largest contraction in economic activity in the United States since the Great Depression. Already, for some, memories of this experience may be fading - memories of just how costly the financial crisis was and of why certain steps were taken in response. Today I will look back at the crisis and discuss the reforms policymakers in the United States and around the world have made to improve financial regulation to limit both the probability and the adverse consequences of future financial crises. At the same time, reforms have boosted the resilience of the financial system. Banks are safer. The risk of runs owing to maturity transformation is reduced. Efforts to enhance the resolvability of systemic firms have promoted market discipline and reduced the problem of too-big-to-fail. And a system is in place to more effectively monitor and address risks that arise outside the regulatory perimeter. Nonetheless, the scope and complexity of financial regulatory reforms demand that policymakers and researchers remain alert to both areas for improvement and unexpected side effects. 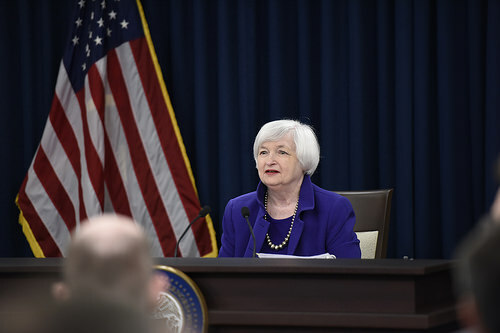 The Federal Reserve is committed to continuing to evaluate the effects of regulation on financial stability and on the broader economy and to making appropriate adjustments. I will start by reviewing where we were 10 years ago. I will then walk through some key reforms our country has put in place to diminish the chances of another severe crisis and limit damage during times of financial instability. After reviewing these steps, I will summarize indicators and research that show the improved resilience of the U.S. financial system - resilience that is due importantly to regulatory reform as well as actions taken by the private sector. I will then turn to the evidence regarding how financial regulatory reform has affected economic growth, credit availability, and market liquidity. As we now know, the deterioration of liquidity and solvency within the financial sector continued over the next 13 months. Accumulating strains across the financial system, including the collapse of Bear Stearns in March 2008, made it clear that vulnerabilities had risen across the system. But the deterioration from early 2007 until early September 2008‑‑already the worst financial disruption in the United States in many decades‑‑was a slow trickle compared with the tidal wave that nearly wiped out the financial sector that September and led to a plunge in economic activity in the following months­. Not long after Fannie and Freddie were placed in government conservatorship, Lehman Brothers collapsed, setting off a week in which American International Group, Inc. (AIG), came to the brink of failure and required large loans from the Federal Reserve to mitigate the systemic fallout; a large money market fund "broke the buck" (that is, was unable to maintain a net asset value of $1 per share) and runs on other money funds accelerated, requiring the Treasury to provide a guarantee of money fund liabilities; global dollar funding markets nearly collapsed, necessitating coordinated action by central banks around the world; the two remaining large investment banks became bank holding companies, thereby ending the era of large independent investment banks in the United States; and the Treasury proposed a rescue of the financial sector. Facing similar challenges in their own jurisdictions, many foreign governments also undertook aggressive measures to support the functioning of credit markets, including large-scale capital injections into banks, expansions of deposit insurance programs, and guarantees of some forms of bank debt. Despite the forceful policy responses by the Treasury, the Congress, the FDIC, and the Federal Reserve as well as authorities abroad, the crisis continued to intensify: The vulnerabilities in the U.S. and global economies had grown too large, and the subsequent damage was enormous. From the beginning of 2008 to early 2010, nearly 9 million jobs, on net, were lost in the United States. Millions of Americans lost their homes. And distress was not limited to the U.S. economy: Global trade and economic activity contracted to a degree that had not been seen since the 1930s. The economic recovery that followed, despite extraordinary policy actions, was painfully slow. These painful events renewed efforts to guard against financial instability. The Congress, the Administration, and regulatory agencies implemented new laws, regulations, and supervisory practices to limit the risk of another crisis, in coordination with policymakers around the world. As a result, market and supervisory discipline was lacking, and financial institutions were allowed to take on high levels of leverage. This leverage was facilitated by short-term wholesale borrowing, owing in part to market-based vehicles, such as money market mutual funds and asset-backed commercial paper programs that allowed the rapid expansion of liquidity transformation outside of the regulated depository sector. Finally, a self-reinforcing loop developed, in which all of the factors I have just cited intensified as investors sought ways to gain exposure to the rising prices of assets linked to housing and the financial sector. As a result, securitization and the development of complex derivatives products distributed risk across institutions in ways that were opaque and ultimately destabilizing. In response, policymakers around the world have put in place measures to limit a future buildup of similar vulnerabilities. The United States, through coordinated regulatory action and legislation, moved very rapidly to begin reforming our financial system, and the speed with which our banking system returned to health provides evidence of the effectiveness of that strategy. Moreover, U.S. leadership of global efforts through bodies such as the Basel Committee on Banking Supervision, the Financial Stability Board (FSB), and the Group of Twenty has contributed to the development of standards that promote financial stability around the world, thereby supporting global growth while protecting the U.S. financial system from adverse developments abroad. Preeminent among these domestic and global efforts have been steps to increase the loss-absorbing capacity of banks, regulations to limit both maturity transformation in short-term funding markets and liquidity mismatches within banks, and new authorities to facilitate the resolution of large financial institutions and to subject systemically important firms to more stringent prudential regulation. Finally, the largest U.S. banks participate in the annual Comprehensive Capital Analysis and Review (CCAR)‑‑the stress tests. In addition to contributing to greater loss-absorbing capacity, the CCAR improves public understanding of risks at large banking firms, provides a forward-looking examination of firms potential losses during severely adverse economic conditions, and has contributed to significant improvements in risk management. Reforms have also addressed the risks associated with maturity transformation. The fragility created by deposit-like liabilities outside the traditional banking sector has been mitigated by regulations promulgated by the Securities and Exchange Commission affecting prime institutional money market funds. These rules require these prime funds to use a floating net asset value, among other changes, a shift that has made these funds less attractive as cash-management vehicles. The changes at money funds have also helped reduce banks reliance on unsecured short-term wholesale funding, since prime institutional funds were significant investors in those bank liabilities. Liquidity risk at large banks has been further mitigated by a new liquidity coverage ratio and a capital surcharge for global systemically important banks (G-SIBs). While improvements in capital and liquidity regulation will limit the reemergence of the risks that grew substantially in the mid-2000s, the failure of Lehman Brothers demonstrated how the absence of an adequate resolution process for dealing with a failing systemic firm left policymakers with only the terrible choices of a bailout or allowing a destabilizing collapse. In recognition of this shortcoming, the Congress adopted the orderly liquidation authority in Title II of the Dodd-Frank Wall Street Reform and Consumer Protection Act (Dodd-Frank Act) to provide an alternative resolution mechanism for systemically important firms to be used instead of bankruptcy proceedings when necessary to preserve financial stability. The orderly liquidation authority contains a number of tools, including liquidity resources and temporary stays on the termination of financial contracts, that would help protect the financial system and economy from the severe adverse spillovers that could occur if a systemic firm failed. And the Federal Reserve has mandated that systemically important banks meet total loss-absorbing capacity requirements, which require these firms to maintain long-term debt adequate to absorb losses and recapitalize the firm in resolution. These enhancements in resolvability protect financial stability and help ensure that the shareholders and creditors of failing firms bear losses. Moreover, these steps promote market discipline, as creditors--knowing full well that they will bear losses in the event of distress--demand prudent risk-taking, thereby limiting the problem of too-big-to-fail. Financial stability risks can also grow large outside the regulated banking sector, as amply demonstrated by the events of 2007 and 2008. In response, a number of regulatory changes affecting what is commonly referred to as the shadow banking sector have been instituted. A specific example of such risks, illustrative of broader developments, was the buildup of large counterparty exposures through derivatives between market participants and AIG that were both inappropriately risk-managed and opaque. The annual stress-testing exercises in recent years have led to improvements in the capital positions and risk-management processes among participating banks. Large banks have cut their reliance on short-term wholesale funding essentially in half and hold significantly more high-quality, liquid assets. Assets under management at prime institutional money market funds that proved susceptible to runs in the crisis have decreased substantially. And the ability of regulators to resolve a large institution has improved, reflecting both new authorities and tangible steps taken by institutions to adjust their organizational and capital structure in a manner that enhances their resolvability and significantly reduces the problem of too-big-to-fail. The progress evident in regulatory and supervisory metrics has been accompanied by shifts in private-sector assessments that also suggest enhanced financial stability. Investors have recognized the progress achieved toward ending too-big-to-fail, and several rating agencies have removed the government support rating uplift that they once accorded to the largest banks. Credit default swaps for the large banks also suggest that market participants assign a low probability to the distress of a large U.S. banking firm. Market-based assessments of the loss-absorbing capacity of large U.S. banks have moved up in recent years, and market-based measures of equity now lie in the range of book estimates of equity. But supervisory metrics are not perfect, either, and policymakers and investors should continue to monitor a range of supervisory and market-based indicators of financial system resilience. Is This Safer System Supporting Growth? I suspect many in this audience would agree with the narrative of my remarks so far: The events of the crisis demanded action, needed reforms were implemented, and these reforms have made the system safer. Now--a decade from the onset of the crisis and nearly seven years since the passage of the Dodd-Frank Act and international agreement on the key banking reforms--a new question is being asked: Have reforms gone too far, resulting in a financial system that is too burdened to support prudent risk-taking and economic growth? More broadly, we continue to monitor economic conditions, and to review and conduct research, to better understand the effect of regulatory reforms and possible implications for regulation. I will briefly summarize the current state of play in two areas: the effect of regulation on credit availability and on changes in market liquidity. Such conflicting results in academic research are not altogether surprising. It is difficult to identify the effects of regulatory capital requirements on lending because material changes to capital requirements are rare and are often precipitated, as in the recent case, by financial crises that also have large effects on lending. The steps to improve the capital positions of banks promptly and significantly following the crisis, beginning with the 2009 Supervisory Capital Assessment Program, have resulted in a return of lending growth and profitability among U.S. banks more quickly than among their global peers. While material adverse effects of capital regulation on broad measures of lending are not readily apparent, credit may be less available to some borrowers, especially homebuyers with less-than-perfect credit histories and, perhaps, small businesses. In retrospect, mortgage borrowing was clearly too easy for some households in the mid-2000s, resulting in debt burdens that were unsustainable and ultimately damaging to the financial system. Currently, many factors are likely affecting mortgage lending, including changes in market perceptions of the risk associated with mortgage lending; changes in practices at the government-sponsored enterprises and the Federal Housing Administration; changes in technology that may be contributing to entry by nonbank lenders; changes in consumer protection regulations; and, perhaps to a limited degree, changes in capital and liquidity regulations within the banking sector. These issues are complex and interact with a broader set of challenges related to the domestic housing finance system. Finally, many financial market participants have expressed concerns about the ability to transact in volume at low cost--that is, about market liquidity, particularly in certain fixed-income markets such as that for corporate bonds. Market liquidity for corporate bonds remains robust overall, and the healthy condition of the market is apparent in low bid-ask spreads and the large volume of corporate bond issuance in recent years. That said, liquidity conditions are clearly evolving. Large dealers appear to devote less of their balance sheets to holding inventories of securities to facilitate trades and instead increasingly facilitate trades by directly matching buyers and sellers. In addition, algorithmic traders and institutional investors are a larger presence in various markets than previously, and the willingness of these institutions to support liquidity in stressful conditions is uncertain. While no single factor appears to be the predominant cause of the evolution of market liquidity, some regulations may be affecting market liquidity somewhat. There may be benefits to simplifying aspects of the Volcker rule, which limits proprietary trading by banking firms, and to reviewing the interaction of the enhanced supplementary leverage ratio with risk-based capital requirements. At the same time, the new regulatory framework overall has made dealers more resilient to shocks, and, in the past, distress at dealers following adverse shocks has been an important factor driving market illiquidity. As a result, any adjustments to the regulatory framework should be modest and preserve the increase in resilience at large dealers and banks associated with the reforms put in place in recent years. So where do we stand a decade after the onset of the most severe financial crisis since the Great Depression? Substantial progress has been made toward the Federal Reserve economic objectives of maximum employment and price stability, in putting in place a regulatory and supervisory structure that is well designed to lower the risks to financial stability, and in actually achieving a stronger financial system. Our more resilient financial system is better prepared to absorb, rather than amplify, adverse shocks, as has been illustrated during periods of market turbulence in recent years. Enhanced resilience supports the ability of banks and other financial institutions to lend, thereby supporting economic growth through good times and bad. Nonetheless, there is more work to do. The balance of research suggests that the core reforms we have put in place have substantially boosted resilience without unduly limiting credit availability or economic growth. But many reforms have been implemented only fairly recently, markets continue to adjust, and research remains limited. The Federal Reserve is committed to evaluating where reforms are working and where improvements are needed to most efficiently maintain a resilient financial system. Moreover, I expect that the evolution of the financial system in response to global economic forces, technology, and, yes, regulation will result sooner or later in the all-too-familiar risks of excessive optimism, leverage, and maturity transformation reemerging in new ways that require policy responses. We relearned this lesson through the pain inflicted by the crisis. We can never be sure that new crises will not occur, but if we keep this lesson fresh in our memories--along with the painful cost that was exacted by the recent crisis--and act accordingly, we have reason to hope that the financial system and economy will experience fewer crises and recover from any future crisis more quickly, sparing households and businesses some of the pain they endured during the crisis that struck a decade ago. 1. Over the 12 quarters ending in the first quarter of this year, borrowing by the nonfinancial business sector increased at an annual rate just above 6 percent, on average, and borrowing by households and nonprofit institutions rose at an annual rate of 3-1/4 percent, on average; the corresponding average pace of increase in nominal gross domestic product was 3-3/4 percent. Over the same period, lending by private depository institutions advanced at an annual rate of nearly 6-1/2 percent. 2. A contemporaneous perspective on subprime mortgage market developments at this time is provided in Ben S. Bernanke (2007), "The Subprime Mortgage Market," speech delivered at the Federal Reserve Bank of Chicago 43rd Annual Conference on Bank Structure and Competition, Chicago, May 17. 3. On August 17, 2007, the Federal Reserve Board reduced the primary credit rate at the discount window by 50 basis points and announced a change to the Reserve Banks usual practices to allow the provision of term financing for as long as 30 days, renewable by the borrower. The changes were announced to remain in place until the Federal Reserve determined that market liquidity had improved materially. See Board of Governors of the Federal Reserve System (2007), "Federal Reserve Board Discount Rate Action," press release, August 17. 4. The proceedings from the 2007 conference are instructive about the range of views regarding housing-related developments preceding the acute phase of the financial crisis. See Federal Reserve Bank of Kansas City (2007), Housing, Housing Finance, and Monetary Policy, proceedings of an economic policy symposium (Kansas City: FRBKC). 5. For a discussion of the correspondence between the steps taken by the Federal Reserve and those suggested by Walter Bagehot in the 19th century, see Brian F. Madigan (2009), "Bagehot Dictum in Practice: Formulating and Implementing Policies to Combat the Financial Crisis," speech delivered at the Federal Reserve Bank of Kansas City annual economic symposium, Jackson Hole, Wyo., August 21. 6. A timeline of developments in the United States over the financial crisis is available on the Federal Reserve Bank of St. Louis website at https://www.stlouisfed.org/financial-crisis/full-timeline. The failure of Fannie Mae and Freddie Mac is marked by the decision of the Federal Housing Finance Agency (FHFA) to place Fannie Mae and Freddie Mac in government conservatorship on September 7, 2008. Links to documents outlining the actions taken around this time are available on the FHFA website at https://www.fhfa.gov/Media/PublicAffairs/Pages/Conservatorship-of-Fannie-Mae-and-Freddie-Mac.aspx. 7. In the fall of 2008, the three largest investment banks were (in alphabetical order) Goldman Sachs, Merrill Lynch, and Morgan Stanley. Merrill Lynch agreed to be acquired by Bank of America, and the remaining two firms became bank holding companies. 8. The notion that popular sentiment may contribute to mispricing of assets--for example, the power of the madness of crowds--is attributed to Charles Mackay (1841), Memoirs of Extraordinary Popular Delusions and the Madness of Crowds (London: Richard Bentley). A more modern perspective, and one using a phrase as memorable as the madness of crowds, is provided by Robert J. Shiller (2016), Irrational Exuberance, 3rd ed. (Princeton, N.J.: Princeton University Press). The notion that economic stability can generate a buildup of imbalances that subsequently contributes to instability is presented in Hyman P. Minsky (1974), "The Modeling of Financial Instability: An Introduction," in Modeling and Simulation, Vol. 5, Part 1, proceedings of the Fifth Annual Pittsburgh Conference (Pittsburgh: Instrument Society of America), pp. 267-72. A related discussion of how financial excesses often precede downturns (and even panics) is provided in Charles P. Kindleberger and Robert Z. Aliber (2005), Manias, Panics, and Crashes: A History of Financial Crises, 5th ed. (Hoboken, N.J.: John Wiley & Sons). 9. These improvements encompass a number of changes. The regulatory requirements for capital have been increased and focus on Tier 1 common equity, which proved more capable of absorbing losses than lower-quality forms of capital. The role of bank internal models in determining risk-weighted assets also has been significantly constrained in the United States. In addition, exposures previously considered off balance sheet have been incorporated into risk-weighted assets. 10. 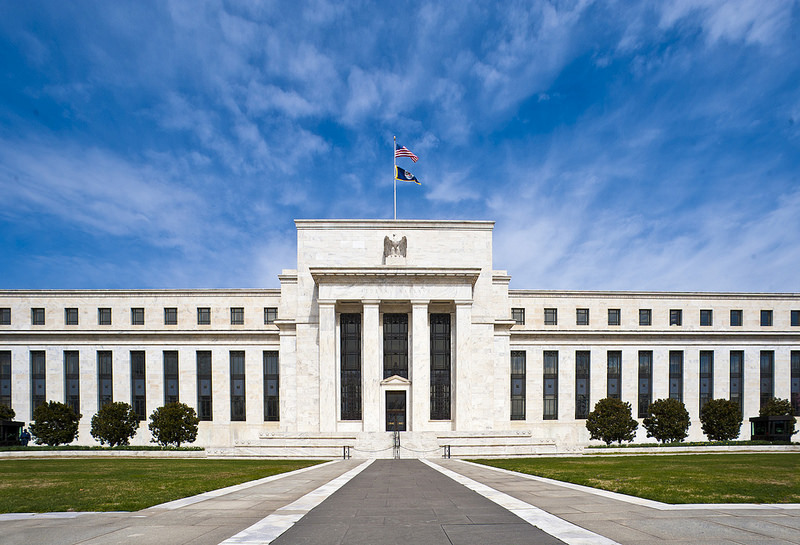 The Federal Reserve Board, the FDIC, and the Office of the Comptroller of the Currency adopted a final rule to strengthen the leverage ratio standards for the largest, most interconnected U.S. banking organizations on April 8, 2014. Under the final rule, covered bank holding companies must maintain a leverage buffer of 2 percentage points above the minimum supplementary leverage ratio requirement of 3 percent, for a total of 5 percent, to avoid restrictions on capital distributions and discretionary bonus payments (see Board of Governors of the Federal Reserve System, Federal Deposit Insurance Corporation, and Office of the Comptroller of the Currency (2014), "Agencies Adopt Enhanced Supplementary Leverage Ratio Final Rule and Issue Supplementary Leverage Ratio Notice of Proposed Rulemaking," joint press release, April 8). 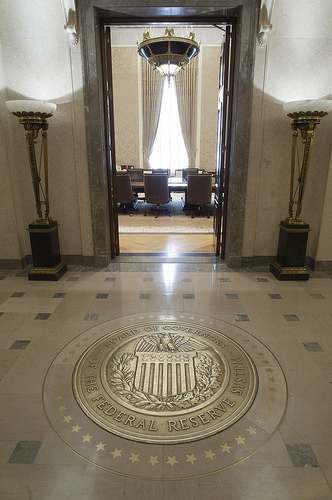 The Federal Reserve approved a final rule imposing risk-based capital surcharges on the largest, most systemically important U.S. bank holding companies on July 20, 2015; in connection with the final rule, the Board issued a white paper describing the calibration of the risk-based capital surcharges (see Board of Governors of the Federal Reserve System (2015), "Federal Reserve Board Approves Final Rule Requiring the Largest, Most Systemically Important U.S. Bank Holding Companies to Further Strengthen Their Capital Positions," press release, July 20). 11. Moreover, the Federal Reserve Comprehensive Liquidity Analysis and Review, in which supervisors analyze the liquidity risks and practices at large banks, has promoted improvements in liquidity-risk management. The U.S. banking agencies also have proposed a net stable funding ratio (NSFR) to help ensure that large banks have a stable funding profile over a one-year horizon, and we are working toward finalization of the NSFR. 12. In addition to these steps, the Board issued another proposal to make G-SIBs more resolvable in May of last year (see Board of Governors of the Federal Reserve System (2016), "Federal Reserve Board Proposes Rule to Support U.S. Financial Stability by Enhancing the Resolvability of Very Large and Complex Financial Firms," press release, May 3). This proposed rule would impose restrictions on G-SIBs qualified financial contracts--including derivatives and repurchase agreements (or repos)--to guard against the rapid, mass unwinding of those contracts during the resolution of a G-SIB. The proposed restrictions are a key step toward G-SIB resolvability because rapidly unwinding these contracts could destabilize the financial system by causing asset fire sales and toppling other firms. 13. One area in which regulations have shifted to a lesser degree in the United States is that of time-varying macroprudential tools, in which regulatory requirements are adjusted to address changes in vulnerabilities that may affect the financial system. For example, U.S. regulatory authorities have adopted rules that allow use of the countercyclical capital buffer, but other time-varying tools are limited in the United States. This issue is discussed in, for example, Stanley Fischer (2015), "Macroprudential Policy in the U.S. Economy," speech delivered at "Macroprudential Monetary Policy," 59th Economic Conference of the Federal Reserve Bank of Boston, Boston, October 2. 14. For example, the FSOC contributed, through its identification process, to the development of the Securities and Exchange Commission reforms affecting money market funds. The FSOC has also designated four firms as systemically important--AIG, GE Capital, Prudential, and MetLife. GE Capital chose to shrink, adjust its business model, and reduce its footprint in short-term wholesale funding markets--and hence reduce a source of systemic risk. These actions caused the FSOC to subsequently remove its designation as systemically important last year--illustrating how the designation process allows both identifying systemic firms and removing such designations when appropriate. 15. The increase in Tier 1 common equity among bank holding companies has been sizable, especially for the largest banks. If the largest banks are defined as either the eight U.S. global systemically important banks or the U.S. bank holding companies that participated in the CCAR in 2017 (and for which data are available for 2009:Q1), Tier 1 common equity has more than doubled in dollar terms and relative to risk-weighted assets from the first quarter of 2009 to the most recent observations. 16. For example, Natasha Sarin and Lawrence Summers have reviewed market-based measures of bank equity and related measures of bank risks and concluded that such measures have not improved since the mid-2000s. This assessment may understate the improvement in fundamental risk within the banking sector, as it takes the elevated valuations and low assessment of default risk implied by market prices during the earlier period as indicative of fundamentals. Despite these shortcomings, their analysis is a useful reminder of the importance of considering both regulatory metrics and assessments implied by market prices. See Natasha Sarin and Lawrence H. Summers (2016), "Understanding Bank Risk through Market Measures (PDF)," Brookings Papers on Economic Activity, Fall, pp. 57-109. 17. For example, see the review of evidence in Simon Firestone, Amy Lorenc, and Ben Ranish (2017), "An Empirical Economic Assessment of the Costs and Benefits of Bank Capital in the US (PDF)," Finance and Economics Discussion Series 2017-034 (Washington: Board of Governors of the Federal Reserve System, April). Some research is less supportive of the role of bank capital in limiting the risk of financial crises but suggests that higher levels of bank capital limit the economic costs of a financial crisis (for example, Òscar Jordà, Björn Richter, Moritz Schularick, and Alan M. Taylor (2017), "Bank Capital Redux: Solvency, Liquidity, and Crisis," NBER Working Paper Series 23287 (Cambridge, Mass. 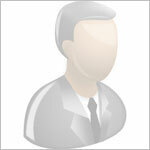 : National Bureau of Economic Research, March)). Some of the differences in findings across studies may be due to the degree to which the studies incorporate data from different countries and over different periods, as researchers disagree over the extent to which comparisons across countries or periods appropriately account for other factors that differ across such dimensions. 18. For example, Charles A.E. Goodhart, Anil K. Kashyap, Dimitrios P. Tsomocos, and Alexandros P. Vardoulakis (2013), "An Integrated Framework for Analyzing Multiple Financial Regulations," International Journal of Central Banking, supp. 1, vol. 9 (January), pp. 109-43; and Gazi I. Kara and S. Mehmet Ozsoy (2016), "Bank Regulation under Fire Sale Externalities (PDF)," Finance and Economics Discussion Series 2016-026 (Washington: Board of Governors of the Federal Reserve System, April). 19. For example, researchers at the Federal Reserve Bank of New York have developed a top-down stress-testing model, and simulation results from the model suggest that the resilience of the U.S. banking system has improved since the crisis; see Beverly Hirtle, Anna Kovner, James Vickery, and Meru Bhanot (2014), "Assessing Financial Stability: The Capital and Loss Assessment under Stress Scenarios (CLASS) Model (PDF)," Staff Report 663 (New York: Federal Reserve Bank of New York, February; revised July 2015). 20. For example, see Fernando Duarte and Thomas Eisenbach (2013), "Fire-Sale Spillovers and Systemic Risk (PDF)," Staff Report 645 (New York: Federal Reserve Bank of New York, October; revised February 2015). 21. In response to the Federal Reserve review and other information, the Board finalized a rule adjusting its capital plan and stress-testing rules, effective for the 2017 cycle, on January 30, 2017. The final rule removes large and noncomplex firms from the qualitative assessment of the Federal Reserve CCAR, reducing significant burden on these firms and focusing the qualitative review in CCAR on the largest, most complex financial institutions. More generally, changes to improve regulatory and supervisory practices related to stress testing by reducing unnecessary burden while preserving resilience are under consideration. Possible changes have been discussed in Daniel K. Tarullo (2016), "Next Steps in the Evolution of Stress Testing," speech delivered at the Yale University School of Management Leaders Forum, New Haven, Conn., September 26. 22. An overview of a set of principles that may guide such adjustments is discussed by Jerome H. Powell (2017), "Relationship between Regulation and Economic Growth," statement before the Committee on Banking, Housing, and Urban Affairs, U.S. Senate, June 22. In addition, the Federal Reserve Board has continued to engage in international efforts to assess the effects of reforms and possible adjustments; in this context, the FSB has developed a framework for the post-implementation evaluation of the effects of the Group of Twenty financial regulatory reforms; see Financial Stability Board (2017), Framework for Post-Implementation Evaluation of the Effects of the G20 Financial Regulatory Reforms (PDF) (Basel, Switzerland: FSB, July). 23. The related literature is sizable. An early contribution is Ben S. Bernanke and Cara S. Lown (1991), "The Credit Crunch," Brookings Papers on Economic Activity, no. 2, pp. 205-47. Research finding a sizable negative relationship between capital requirements and lending includes Shekhar Aiyar, Charles W. Calomiris, and Tomasz Wieladek (2014), "Does Macro-Prudential Regulation Leak? Evidence from a UK Policy Experiment," Journal of Money, Credit and Banking, vol. 46 (s1; February), pp. 181-214. Research finding little relationship between lending and capital ratios (outside financial crises) includes Mark Carlson, Hui Shan, and Missaka Warusawitharana (2013), "Capital Ratios and Bank Lending: A Matched Bank Approach," Journal of Financial Intermediation, vol. 22 (October), pp. 663-87. Research suggesting that higher capital levels may increase lending includes Leonardo Gambacorta and Hyun Song Shin (2016), "Why Bank Capital Matters for Monetary Policy (PDF)," BIS Working Papers 558 (Basel, Switzerland: Bank for International Settlements, April). 24. For example, see Basel Committee on Banking Supervision (2010), An Assessment of the Long-Term Economic Impact of Stronger Capital and Liquidity Requirements (PDF) (Basel, Switzerland: BCBS, August); and Macroeconomic Assessment Group (2010), Interim Report: Assessing the Macroeconomic Impact of the Transition to Stronger Capital and Liquidity Requirements (PDF) (Basel, Switzerland: MAG, August). 25. The ex ante studies from the Basel Committee and the Macroeconomic Assessment Group referenced in note 24 pointed to sizable net benefits from higher capital requirements. More academic research pointing to similar conclusions using macroeconomic models (and typically focused on model-specific measures of economic welfare) includes Michael T. Kiley and Jae W. Sim (2014), "Bank Capital and the Macroeconomy: Policy Considerations," Journal of Economic Dynamics and Control, vol. 43 (June), pp. 175-98; Laurent Clerc, Alexis Derviz, Caterina Mendicino, Stephane Moyen, Kalin Nikolov, Livio Stracca, Javier Suarez, and Alexandros P. Vardoulakis (2015), "Capital Regulation in a Macroeconomic Model with Three Layers of Default," International Journal of Central Banking, vol. 11 (June), pages 9-63; and Juliane Begenau (2016), "Capital Requirements, Risk Choice, and Liquidity Provision in a Business Cycle Model," unpublished paper, Harvard Business School, September. Subsequent analyses, albeit ones that follow similar approaches, also suggest that there are net benefits to higher capital standards. One example is the analysis by Firestone, Lorenc, and Ranish, "An Empirical Economic Assessment," in note 17. Another is Ingo Fender and Ulf Lewrick (2016), "Adding It All Up: The Macroeconomic Impact of Basel III and Outstanding Reform Issues (PDF)," BIS Working Papers 591 (Basel, Switzerland: Bank for International Settlements, November). Indeed, this research points to benefits from capital requirements in excess of those adopted, a conclusion also reached in Wayne Passmore and Alexander H. von Hafften (2017), "Are Basel Capital Surcharges for Global Systemically Important Banks Too Small? (PDF)" Finance and Economics Discussion Series 2017-021 (Washington: Board of Governors of the Federal Reserve System, February). 26. This conclusion is consistent with, for example, the findings in Federal Reserve Banks (2017), 2016 Small Business Credit Survey: Report on Employer Firms (PDF) (New York: Federal Reserve Bank of New York, April). 27. As I have discussed previously, the Federal Reserve has been considering improvements through a number of work streams. For example, the Federal Reserve and the other banking agencies have recently completed the Economic Growth and Regulatory Paperwork Reduction Act (EGRPRA) review. Under EGRPRA, the federal banking agencies are required to conduct a joint review of their regulations every 10 years to identify provisions that are outdated, unnecessary, or unduly burdensome. The Federal Reserve viewed this review as a timely opportunity to step back and identify ways to reduce regulatory burden, particularly for smaller or less complex banks that pose less risk to the U.S. financial system. 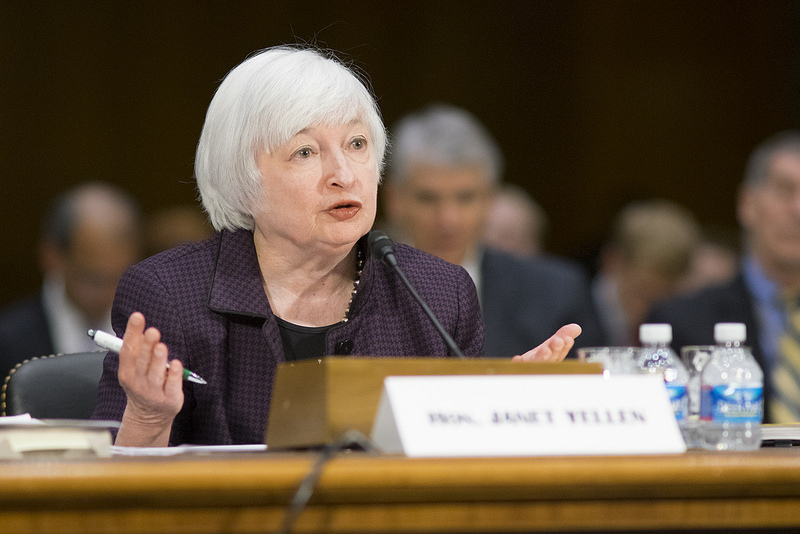 I discussed preliminary emerging themes from this review in Janet L. Yellen (2016), "Supervision and Regulation," statement before the Committee on Financial Services, U.S. House of Representatives, September 28. ‎For the final EGRPRA report to the Congress, see Board of Governors of the Federal Reserve System, Office of the Comptroller of the Currency, Federal Deposit Insurance Corporation, and National Credit Union Administration (2017), Joint Report to Congress: Economic Growth and Regulatory Paperwork Reduction Act (PDF) (Washington: Federal Financial Institutions Examination Council, March).